Almost 100 years ago, Otto Neurath developed the Isotype (International System of Typographic Picture Education) method to communicate statistical information to the broad public in an intuitive, pictorial way. It translates numerical data into arrangements of repeated pictograms. This method is still well-used in information design and data journalism. Neurath’s original publications contained a lot of assumptions on how Isotype diagrams are processed by recipients: e.g. they can be understood easily, because pictograms are processed in the same way as everyday observations of the same concepts. But documented empirical proof was entirely missing. 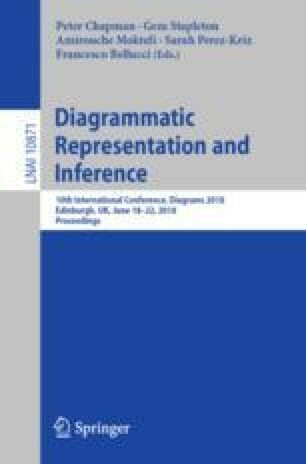 We present a model for the reception of Isotype-like diagrams from a cognitive perspective. This model includes Isotype’s positive effects of countability, iconicity and ancillary semantic information on graph comprehension. Positive effects on engagement and perceived attractiveness are included as additional factors commonly attributed to Isotype. We discuss existing empirical studies, point out research gaps and propose a roadmap for further research.